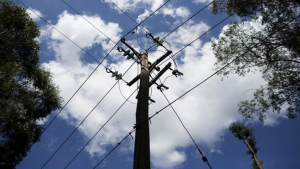 It will take at least four days for power to be restored to some areas of Centurion in Pretoria which have been without power since Friday night. The Brakfontein sub-station was struck by lightning on Friday night, leading to the damage of two transformers. Amberfield, Rooihuiskraal, Heuweloord, Hennopspark and Wierda Park are some of the affected suburbs. Tshwane Mayor Stevens Mokgalapa has assured residents that they will work around the clock to ensure that power is restored. The post Centurion residents could be without power for four days appeared first on SABC News – Breaking news, special reports, world, business, sport coverage of all South African current events. Africa's news leader..